Vin et Fleurs, a restaurant nestled away on a side street in SoHo, serves authentic French cuisine with an American twist. Vin et Fleurs approached TVI with the goal of building it’s marketing presence. We accomplished this by designing and developing a new website and updating their marketing strategies and tactics. TVI is conducting ongoing marketing work for Vin et Fleurs. 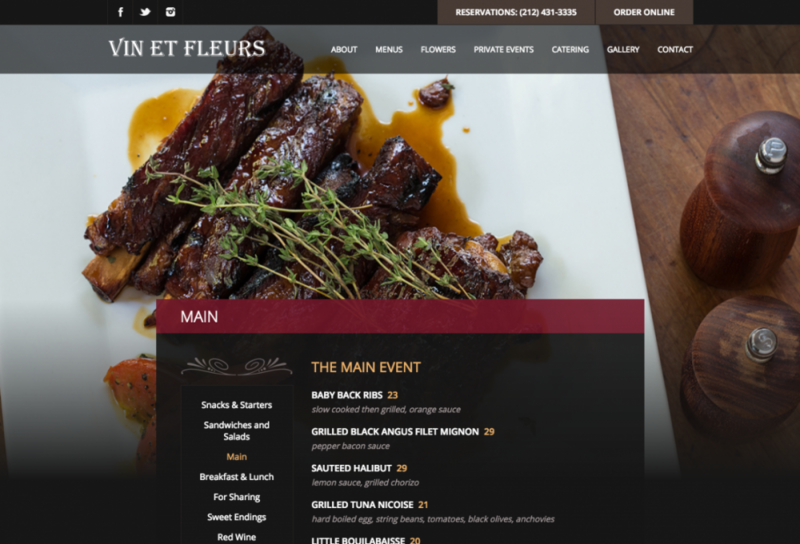 Secondly, we strengthened Vin et Fleurs’ marketing efforts by fleshing out and analyzing their target audiences, researching competitors and social influencers, and creating a marketing plan to drive traffic into the restaurant. Other updates included creating an email database and strategy to capture email sign ups, creating guidelines for social media usage, and updating their promotional calendar.